As a part of a massive expansion plan for Chhatrapati Shivaji International Airport located in Mumbai, India, a wastewater recycle project was contracted in 2011 to cater to the growing requirements of the expanded airport. Due to increasingly strict environmental regulations, the treatment of raw sewage wastewater is required before it is allowed to flow into the natural ecological system. As the airport has a lack of fresh water availability for its needs, it now recycles and reuses the treated sewage water for its operations, such as toilet flushing, horticulture, and HVAC cooling makeup water. One unique and challenging aspect of the wastewater recycle plant project was that the plant must cover a very limited footprint in order to accommodate all needed components of the airport expansion project. The plant successfully met this small footprint requirement due to innovative engineering designs. QUA’s Q-SEP modules successfully fit the plant’s requirements due to their large surface area and high operating efficiency. 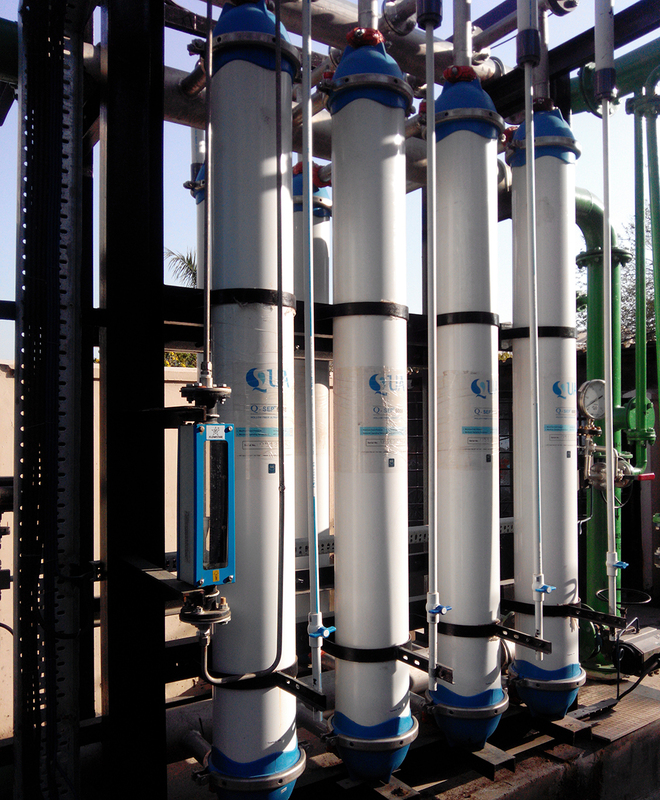 The ultrafiltration system follows a Sequencing Batch Reactor (SBR) process and precedes a reverse osmosis treatment system for tertiary treatment. The feed and treated water quality analysis is shown below. MIAL evaluated both UF and conventional media filtration for pretreatment to their RO system. Since the water feeding the pretreatment system was sewage wastewater, the pretreatment step needed to be designed to handle variable water qualities and extremely high turbidity levels. This required careful consideration and planning to assure the right equipment was selected. The primary goal of the RO pretreatment system was to reduce the silt density index (SDI) and turbidity of the water feeding the RO to a point where RO cleaning would be minimized. Media filtration was unable to meet this requirement so MIAL focused their evaluation of several UF membrane suppliers. Ultrafiltration was selected as the pretreatment of choice to the RO plant. 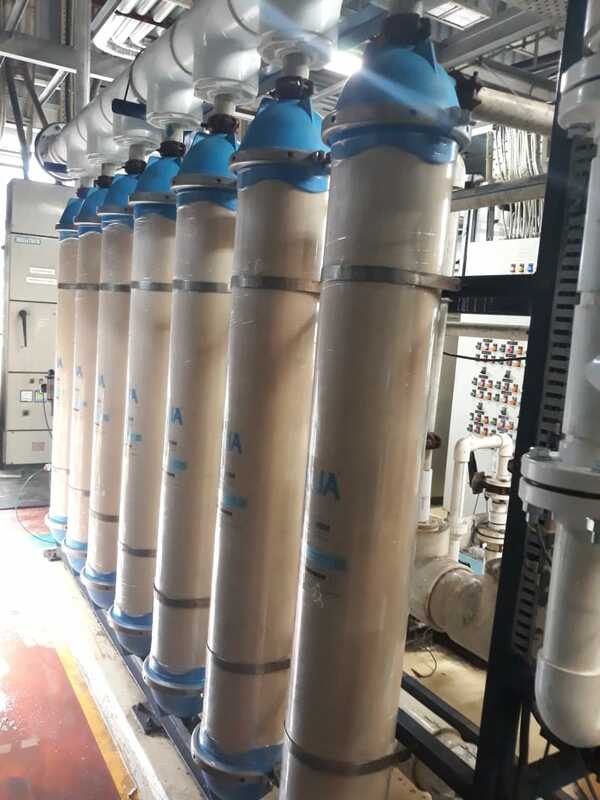 QUA’s Q-SEP was specifically chosen as the ultrafiltration solution for the MIAL project due to its high water quality output compared to other UF membrane suppliers. 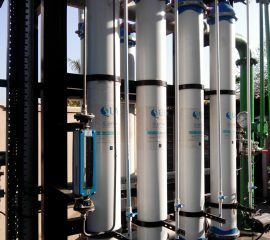 The ultrafiltration system consists of three trains operating at a flow rate of 440 gpm each and with a backwash flux of 200 l/m2/hr. The chemical enhanced backwash (CEB) is designed to use sodium hypochlorite, sodium hydroxide and hydrochloric acid. The backwash and CEB system is common for all the UF streams. 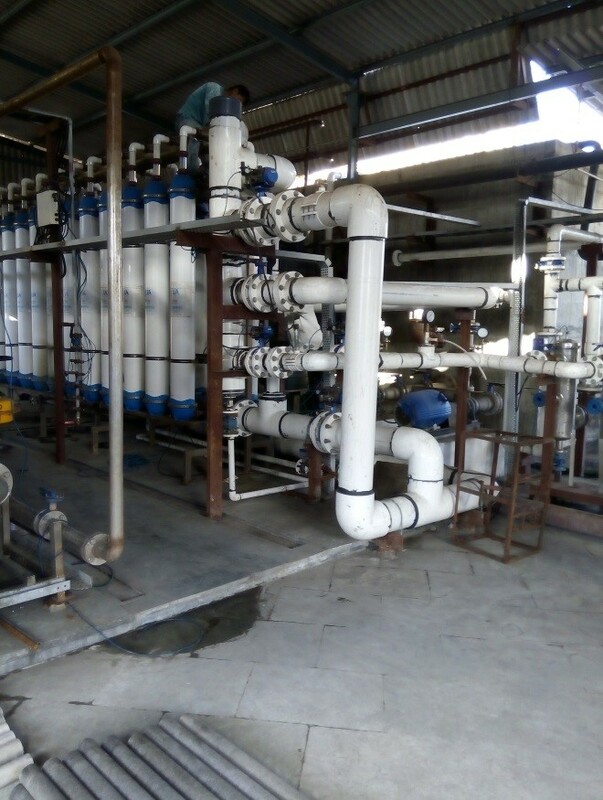 Since its installation, the Q-SEP system at Mumbai International Airport has been running successfully and providing low turbidity water to the RO unit and meeting the requirement of the airport’s needs. 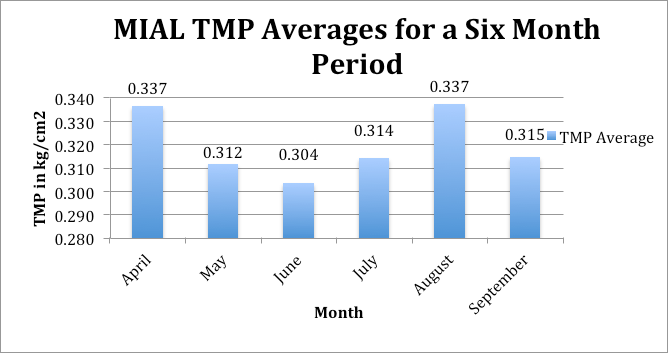 The UF transmembrane pressure (TMP) has been below 0.4 bar (5.8 psi) on average; and Figure 1 shows a sample of the data over a six-month period. 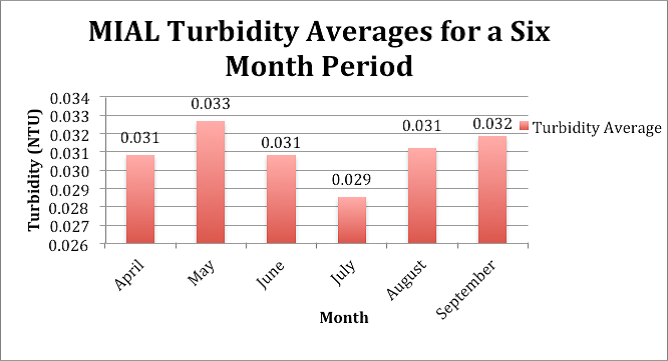 The average product water turbidity has been consistently very low (less than 0.04 NTU as per the instrument reading) (shown in Figure 2) and SDI has been less than 3, which meets the RO membrane inlet requirement. The Q-SEP membrane cleaning is done by regular backwashes and CEBs. 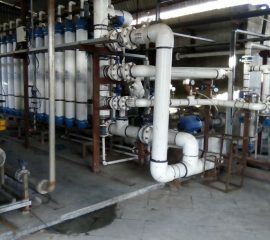 CIP has not been required since startup of the UF membranes and the RO membranes are cleaned every 3-4 months. RO cleaning is done as part of the plant operational protocoland not due to fouling of the membrane (as shown by the low TMP values). This is an improvement compared to the average CIP every 1-3 months for RO membranes following standard ultrafiltration membranes using treated sewage waste water as feed. 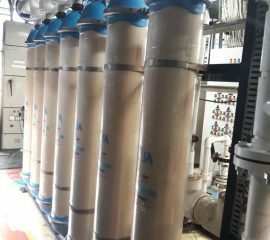 Due to its key membrane characteristics, QUA’s Q-SEP UF membrane system has increased reliability and quality for the MIAL wastewater recycle system. 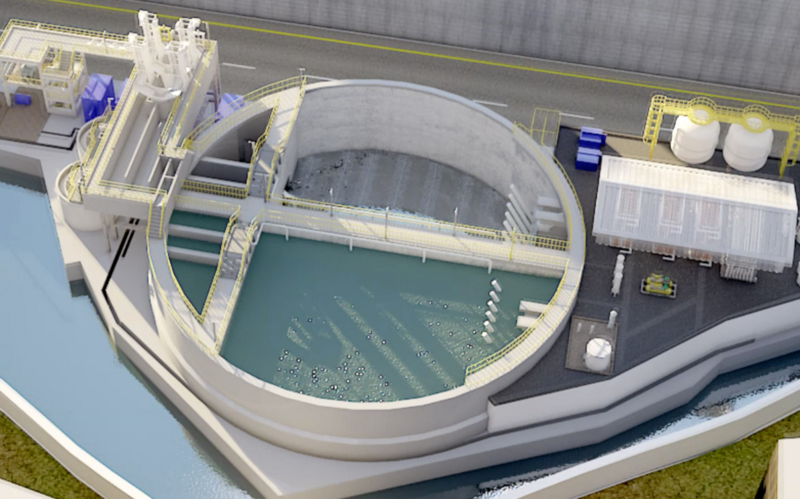 The Q-SEP UF system has successfully handled variably turbid water and exceeded the MIAL project expectations. 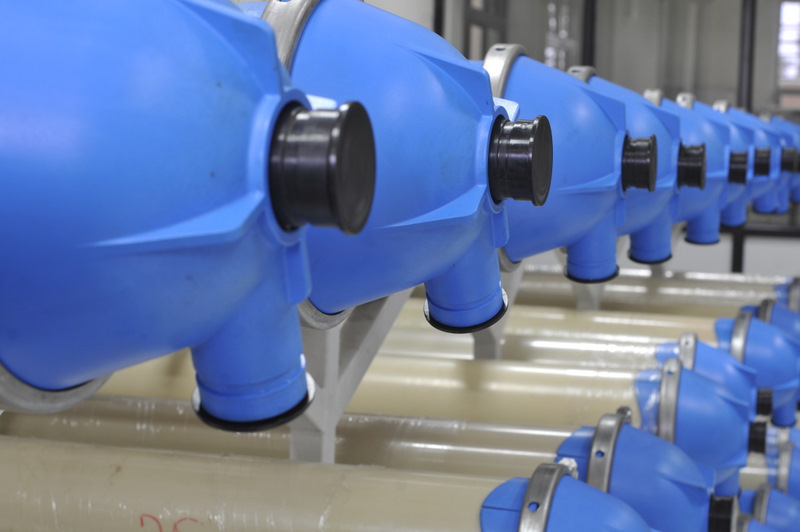 QUA is an innovator of advanced membrane technologies that manufactures and markets filtration products to address the most demanding water challenges. Headquartered in the USA, QUA enables OEM partners to provide cutting-edge systems and solutions to end users in industrial and infrastructure markets throughout North America and worldwide. Committed to ongoing innovation, QUA manages the entire lifecycle and manufacturing chain of its products. From the initial concept to manufacturing with rigorous standards, QUA’s products are developed in a state-of the-art facility with continuous monitoring. Q-SEP® hollow fiber ultrafiltration modules contain membranes manufactured with QUA’s innovative patented “Cloud Point Precipitation” method. This process ensures a high pore density along the length of the fiber and uniform narrow pore size distribution in the membrane. Q-SEP modules deliver superior performance characteristics and product water quality that surpass the quality from conventional UF modules. The narrow pore size distribution allows the membrane to produce water with a low silt density index (SDI). The lower product SDI leads to less frequent and easier cleaning of downstream RO membranes. In addition, the Q-SEP membranes provides an excellent rejection of bacteria and viruses. pressure in an inside-out flow configuration for superior performance. 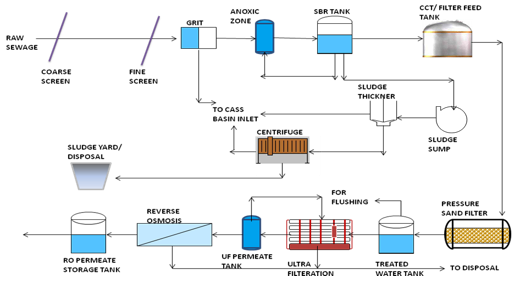 Applications of Q-SEP UF include pretreatment to RO systems (brackish and seawater applications), purification of surface and well water for potable applications, filtration of industrial water, and wastewater recycle and reuse.